3 Bedroom Detached House For Sale in Ryde for Asking Price £350,000. 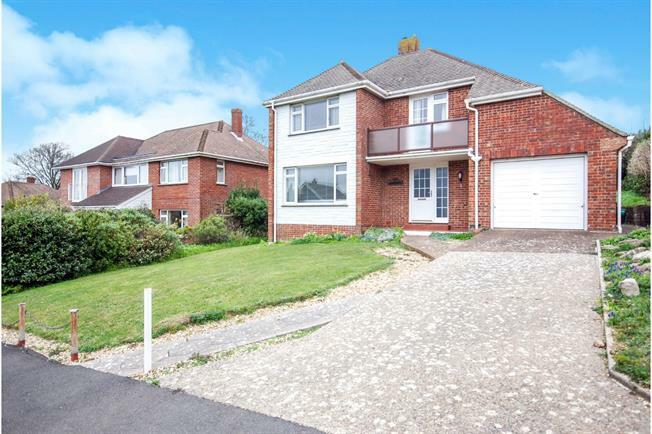 This large, detached family home is located just off Spencer Rd in Ryde, a sought after area close to the coastline. The house benefits from a drive, garage & mature, private garden mainly laid to lawn & patio. Internally you'll find a large lounge/dining room (side sea view) with doors leading to the garden plus a good size kitchen/diner, spare WC, pantry/utility & access to the garage. Upstairs boasts 3 double bedrooms (side sea view) with fitted wardrobe cupboards & a large family bathroom plus a balcony off the landing offering a lovely place to sit out. The house offers plenty of space & even potential to extend with some modernisation including double glazing required to really make this property stand out in such a great location. The main town centre is just 5 minutes walk away as are the mainland travel links, bus & train services.